The neighborhood of Virginia Square in Arlington, Virginia consists a mix of new and old houses. 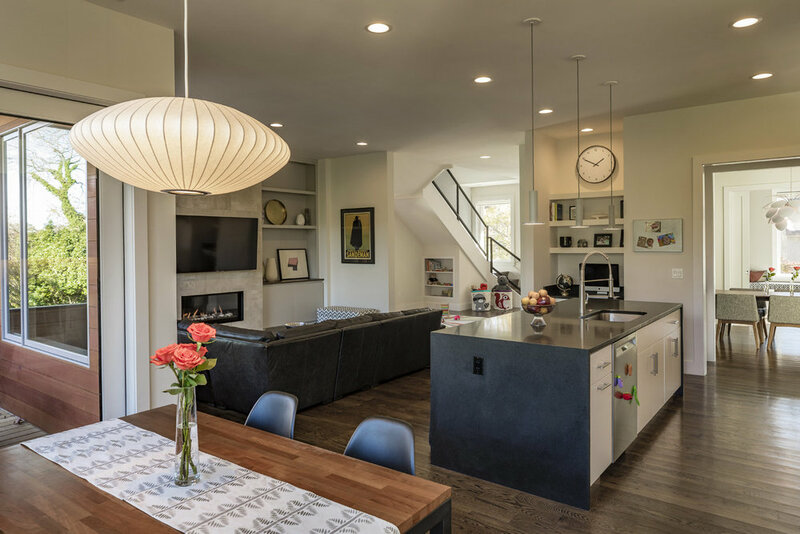 Our clients, a young couple with a young family, had a clean slate site on which to locate a new 2-story-plus-basement modern home. 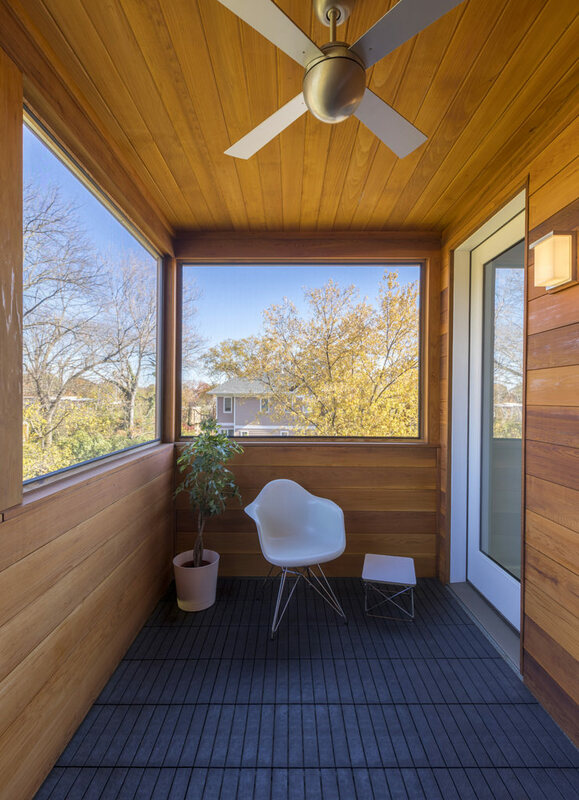 The design challenge here was twofold: how to maximize the lot without overwhelming it, and how to maintain proportion and scale using materials and window openings. The main floor level of the home sits above ground level so that the basement level, which includes the garage, does not dominate the view from the street. The repetition of windows on the street side of the home provide a simple and understandable way to break up the otherwise solid wall. 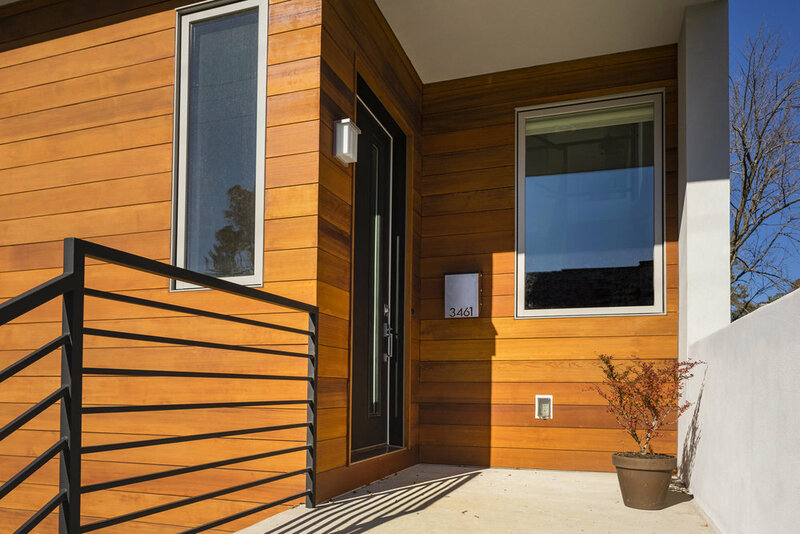 The material on the majority of the exterior walls is stucco, with cedar siding at the main entry and at the rear porch and rear deck. This gives visual interest and warmth to these key locations. 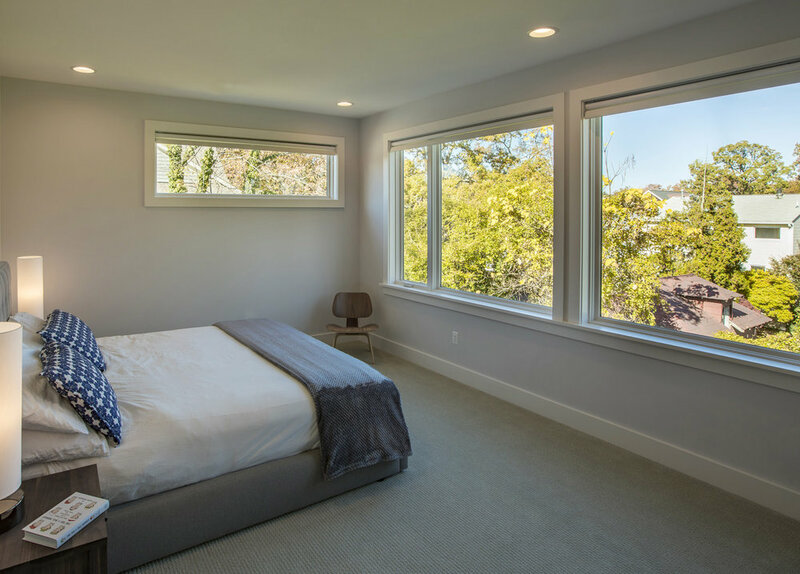 Large window openings bring in daylight while also giving a modern sense of openness to the interior spaces. The floor plan of the home Is a combination of discreet private spaces and flexible, open public spaces. 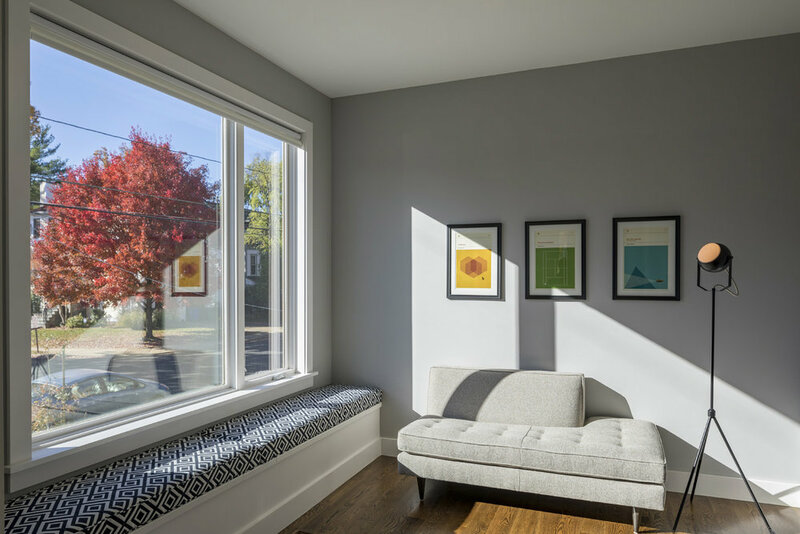 At the first floor, private spaces, such as the front living room and dining room, have large openings between adjacent rooms, yet they can be separated by closing doors when more intimate settings are desired. Kitchen, family room and breakfast room spaces at the back of the first floor are open to eachother, allowing for flexibility of use and ease of view from one space to another. 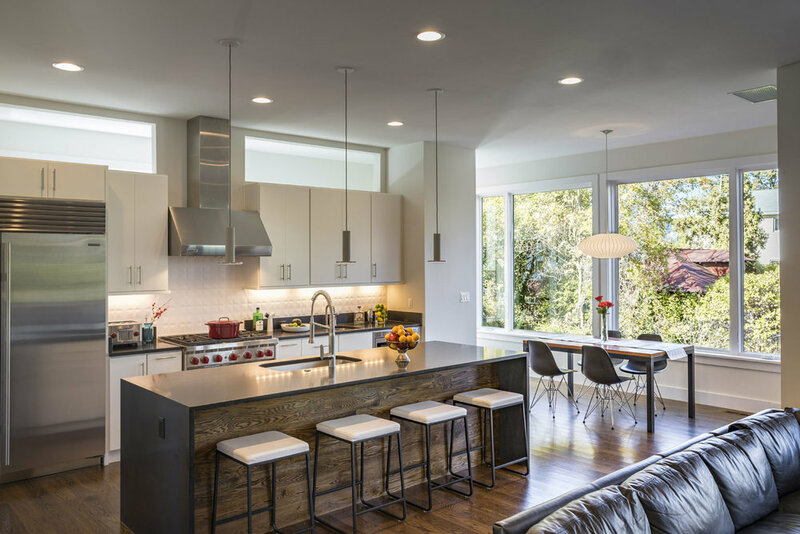 Although these spaces overlap, each space has a focal point. The kitchen is centered around a large kitchen island, the family room has a fireplace as its central focus, and the breakfast room with its large windows and its location next to the back porch give views out to the yard. At the second floor, the bedrooms are accessed from a wide central hall which brings in light and connects the main stair hall to a screened porch space off of the back of the second floor level. The main staircase has a window at each landing which provides views to the outdoors. 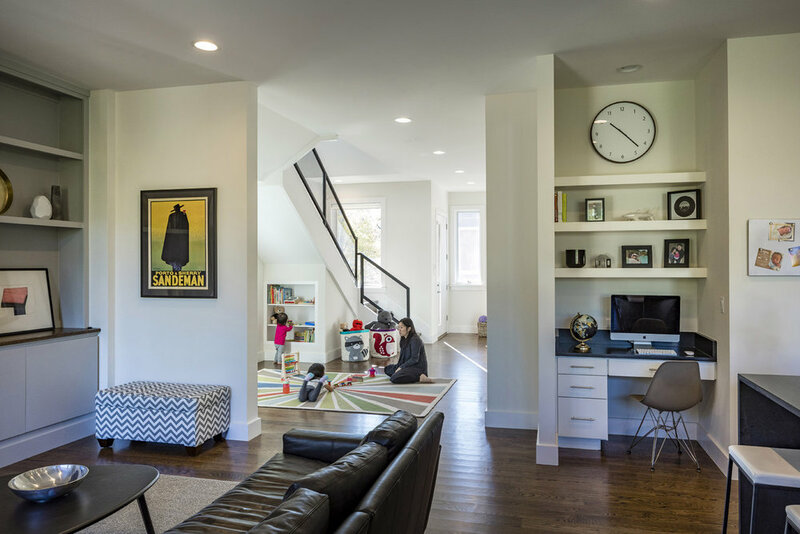 An open space under the stair currently serves as a playroom, but could transform into an office or library when a playroom is no longer needed. 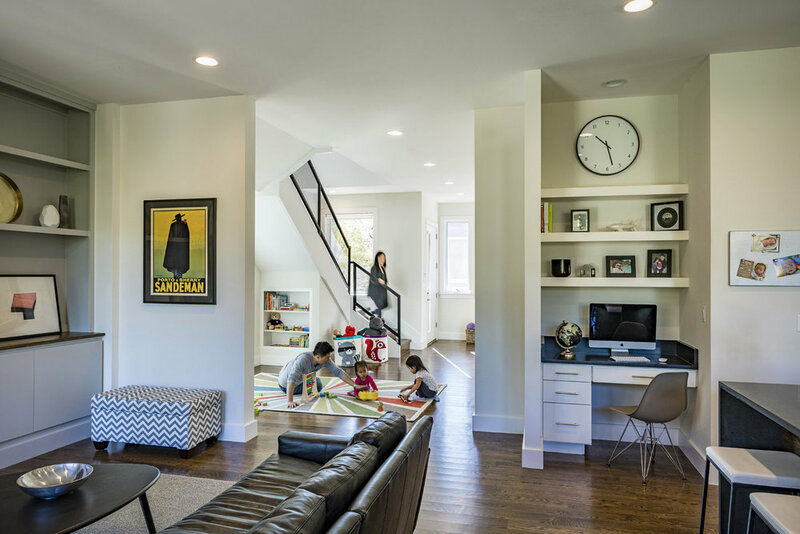 The spaces in the house were designed to address the family’s current needs, but also to be flexible to change as the children grow up and as the family’s needs change.